November is known for Thanksgiving and the beginning of the holiday shopping season, but for writers it’s known for something else. November is National Novel Writing Month (NaNoWriMo), when people put their fingers to their keyboards and pound out 50,000 words in one month. That’s about 1,667 words a day. There are as many ways to write a novel as there are writers, but for those who would like to plot their novel before writing we’ve collected some resources to help. Writing a whole book in a month is a challenge and we want to support you. That’s why this year at the library we’ve made our own NaNoWriMo account. Search for us (username: Durham Tech Library) and make us your writing buddy! We will send our encouraging messages to our buddies and will answer any research questions you have. Suddenly find yourself needing to know how to build a canoe from a tree? Or what clothing was in fashion in the 15th century? How about first aid for a knife wound? Send us a NaNoMail and ask! Don’t Catch the Flu: Get Vaccinated! 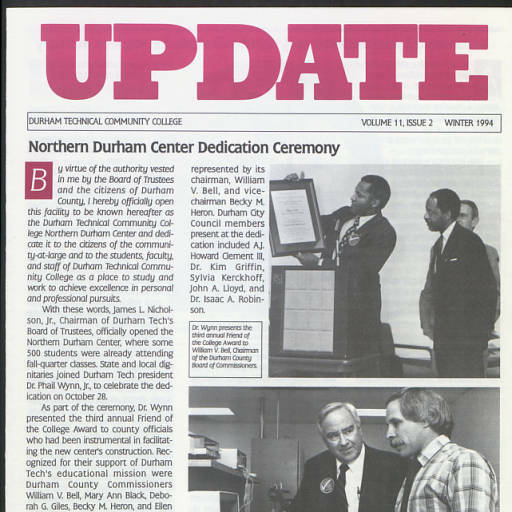 There are lots of treasures to be discovered in Durham Tech’s Digital Archives! The North Carolina Digital Heritage Center is a statewide digitization and digital publishing program housed in the North Carolina Collection at the University of North Carolina at Chapel Hill. We have partnered with the Digital Heritage Center to digitize and publish Durham Tech’s historic materials online. Click here to view more than 100 archived documents including yearbooks, newsletters, annual reports, and college catalogs from Durham Technical Community College. Did you know that the college had a basketball team in 1967? 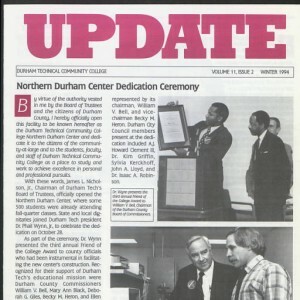 Did you know that the Northern Durham Center opened in 1994? 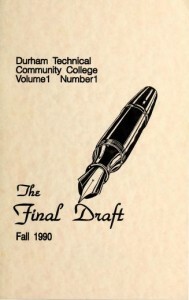 Read the very first edition of the Final Draft Literary Journal from 1990! 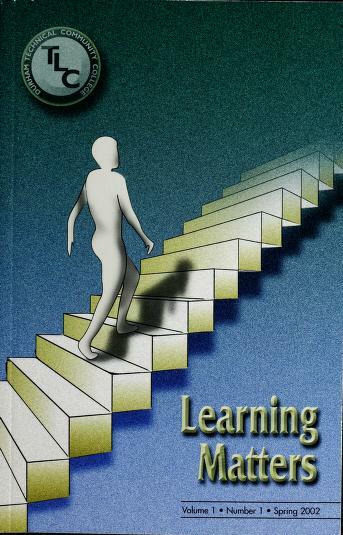 Read articles by Dr. Peter Wooldridge and Dr. Christine Kelly-Kleese in the very first issue of The Learning Matters journal from 2002. Are you in the mood to read something scary or supernatural for Halloween season? Check out some of these fun and spooky tales from the library! 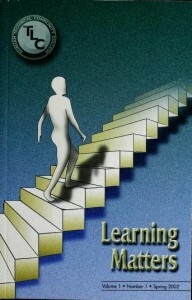 October brings a new crop of books for your education and entertainment. Check them out now!